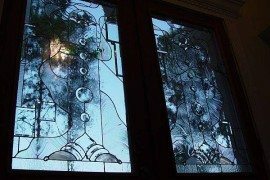 When you think of stained glass, the first thing that might come to mind are those huge and stunning windows you often see in churches, cathedrals, museums, and other places that usually have them built right into the room or architecture. 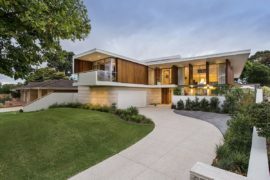 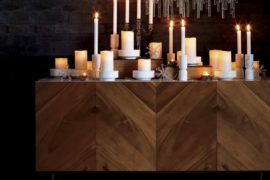 What’s great about this timeless form or art is that there are so many ways you can incorporate it into your own home, without the need for installing them as permanent windows or wall pieces. 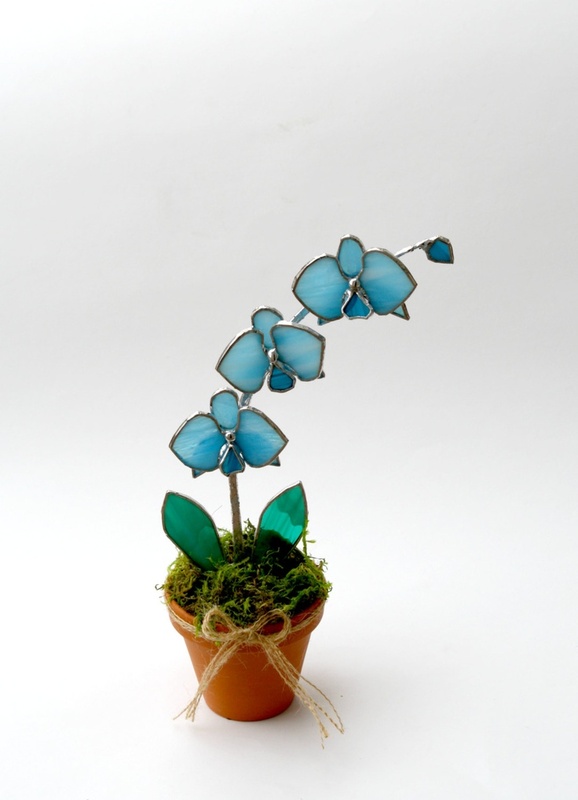 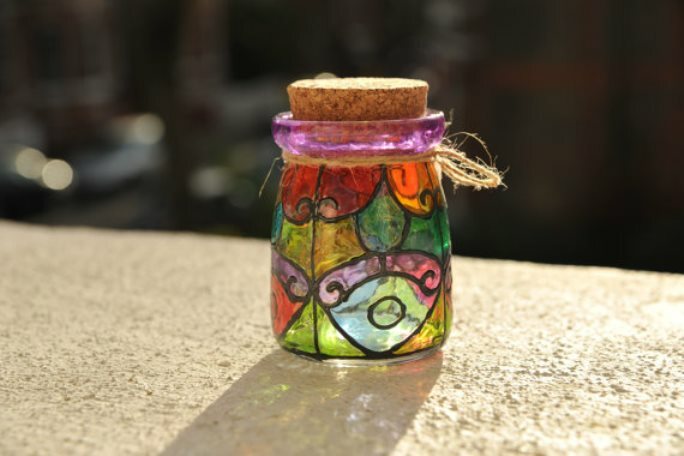 There are all sorts of great little stained glass accessories you can get inexpensively (or even make yourself) to bring a little sparkle and shimmer to any space. 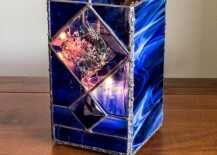 Here are eight common stained glass decorative ideas to consider. 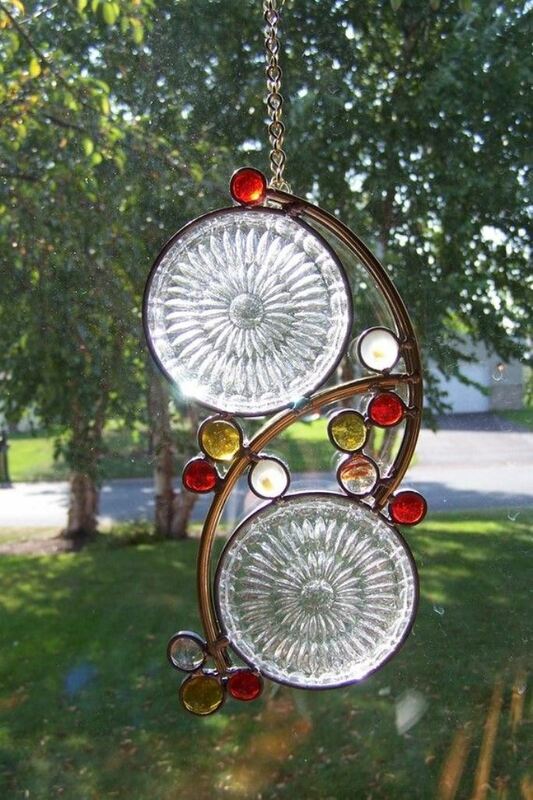 Perhaps the most common type of stained glass accessory you can get is a sun catcher ornament that you can hang either outside or in a room by a window so the sunlight can shine through it. You can get them in all sorts of different designs, colors, shapes, and sizes to fit your style. 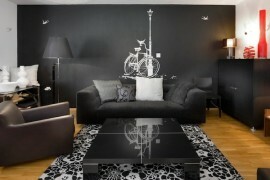 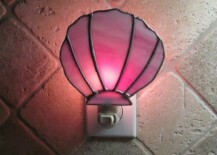 And the best part is that unlike real stained glass windows, they’re temporary! 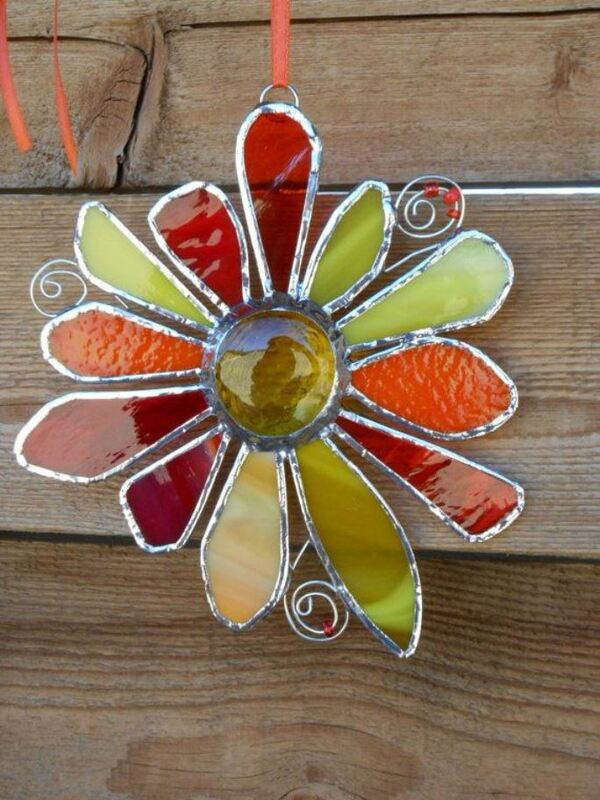 This sun catcher from Saw Toothed Stained Glass keeps it low-key on the colors, while this other selection from Desert Girl Glass kicks up the design and color with some flower power. 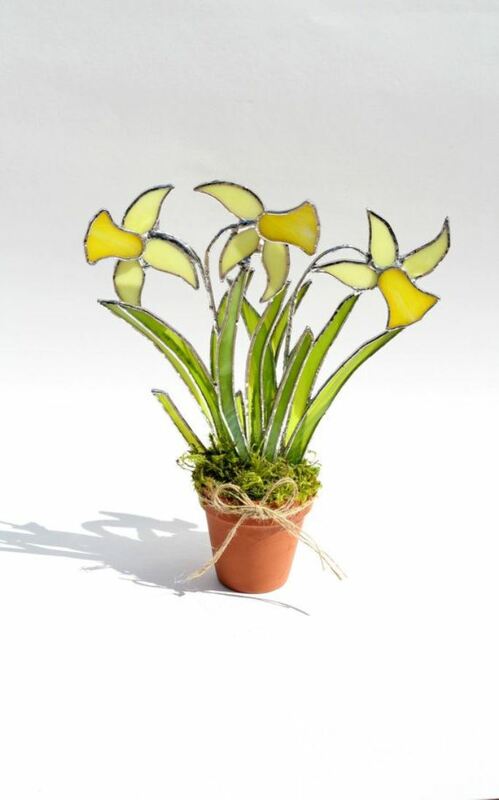 Gala Gardens Glass Art takes a different approach by transforming stained glass sun catchers into flowers, and planting them in little pots. 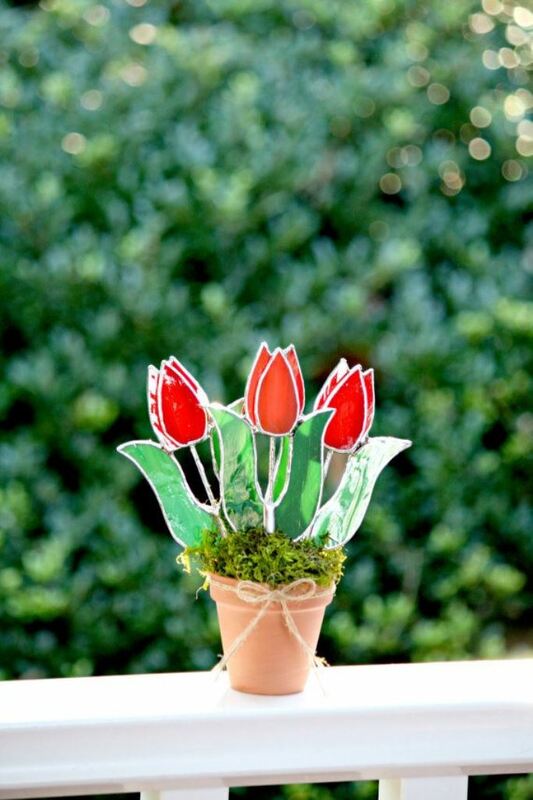 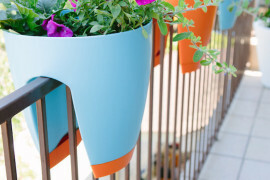 So if you don’t have much of a green thumb, this could be a really cute way to mimic plant life in your home without resorting to fake plants and flowers. 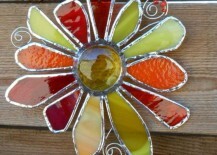 Stained glass doesn’t necessary need to work with natural sunlight. 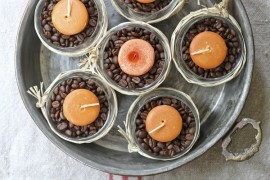 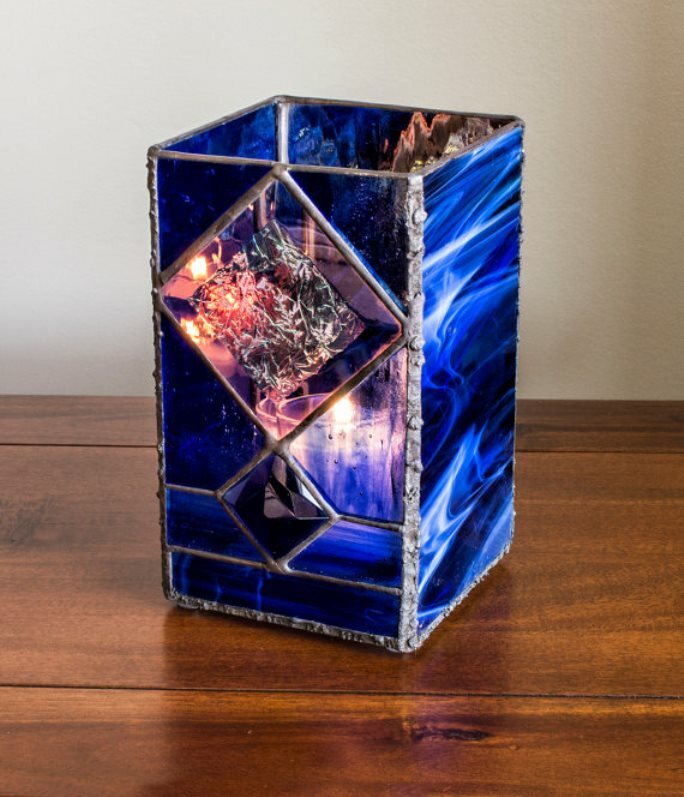 Candles are another great accessory to add to your home, and they give off light when they’re lit — making them perfect to pair with stained glass! 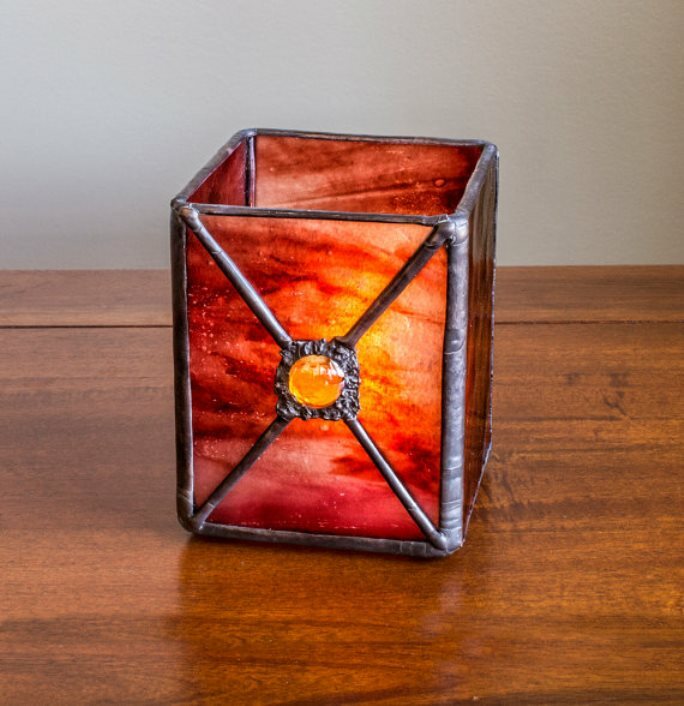 These stained glass candle holders from Kolor Waves Glass show just how gorgeous the colors look when a lit candle is placed inside of them. 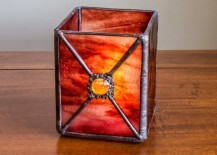 Even without light shining directly through stained glass, the effect can still look great. 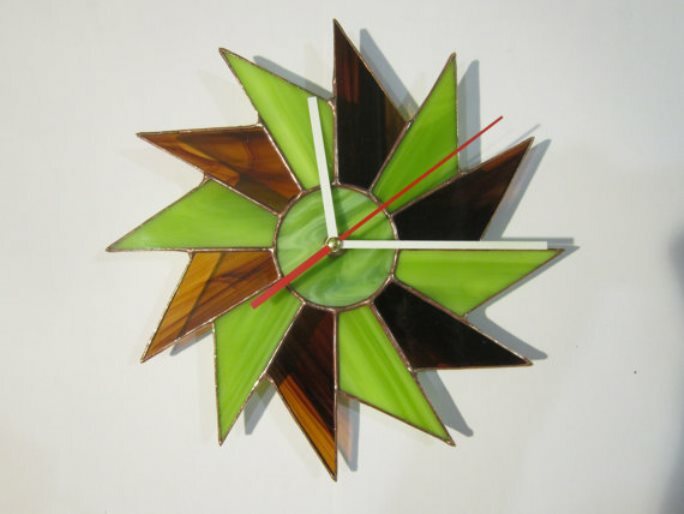 Wall clocks made out of stained glass bring an artistic look to an empty wall that could use a focal point. 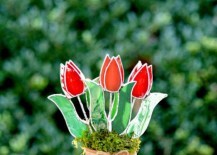 Check out these offerings from Zanger Glass on Etsy. 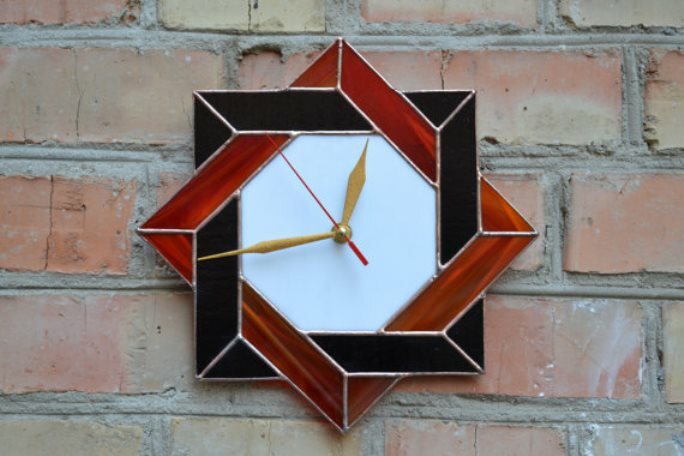 If you can position your clock on a wall where the sun hits it just right at a particular time throughout the day, then all the better! 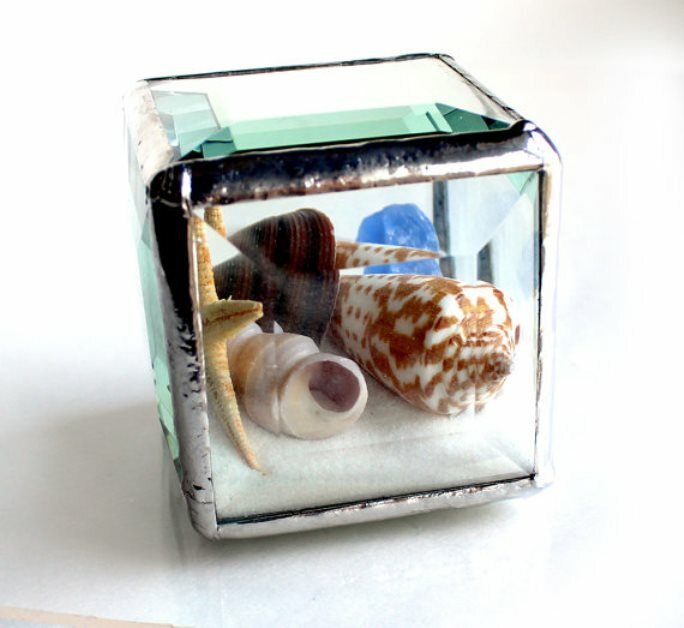 Since you can see right through glass, even when colored, it’s a great type of material to use for housing other little decorative things — from small plants and rocks, to seashells and sand. 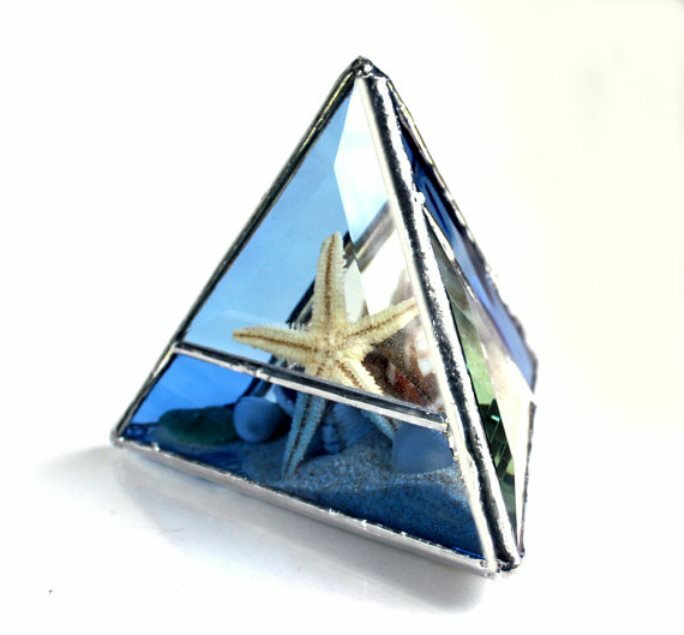 LA Glass has the right idea with these little beach-inspired stained glass shapes that you can place on a coffee table, bookshelf, nightstand, or anywhere else that could use some accessories. 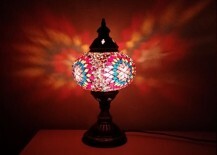 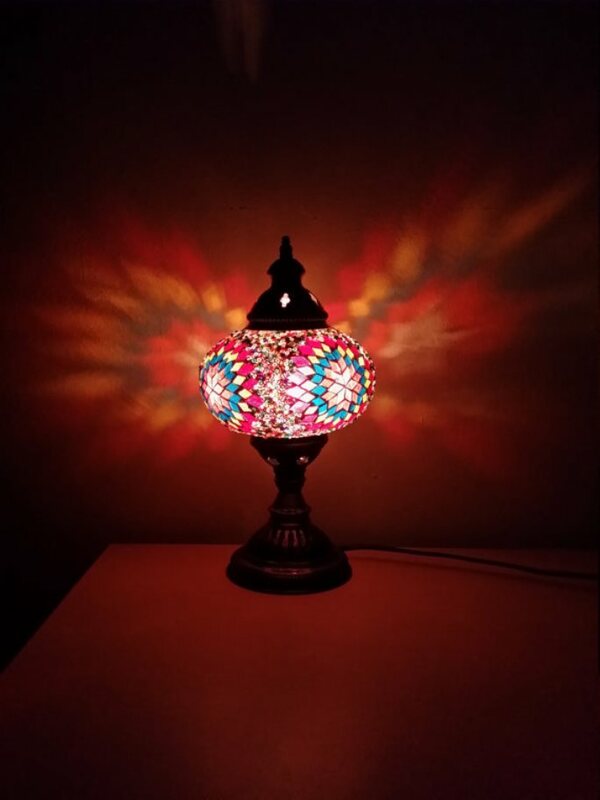 Tiffany lamps are a popular stained glass decor trend, but if you want something that looks a little different from the typical lamp shade style, you should have a look at Mosaic Lampen on Etsy. 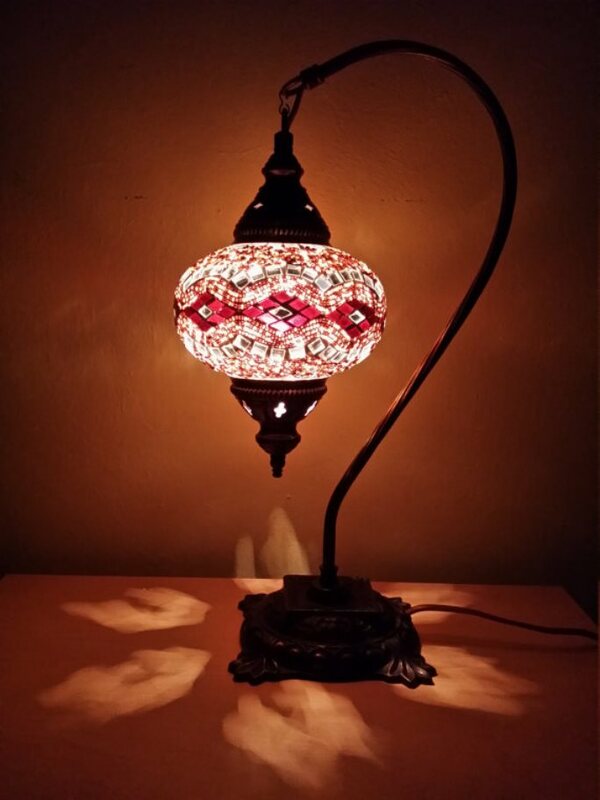 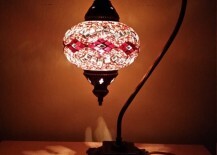 You’ll find some really unique looking Tiffany-style lamps that come in some very interesting shapes and styles. 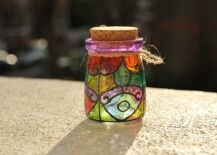 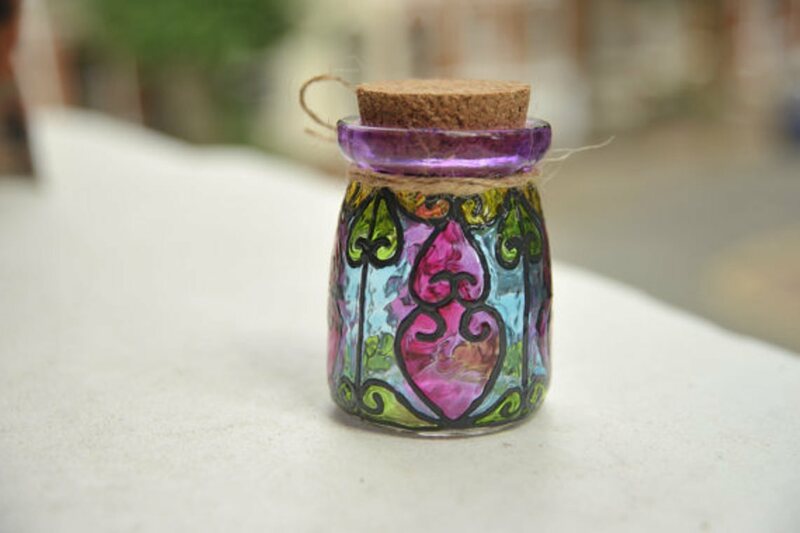 You’ll be proud to show off your colorful stained glass jars and containers when they look like the ones made by XWan on Etsy. 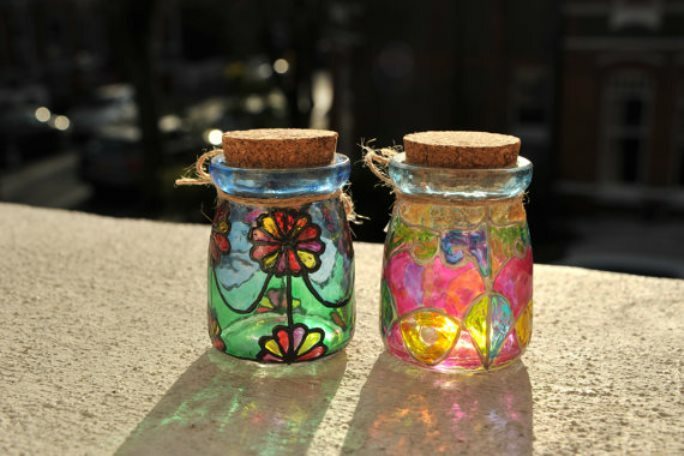 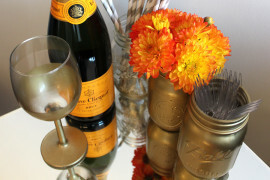 Rather than stashing them away in your cupboards, you can leave these pretty jars out on the counter or on a shelf without worrying about them causing an eyesore. 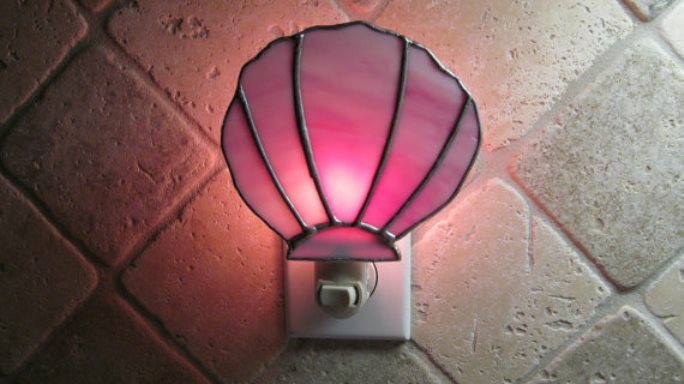 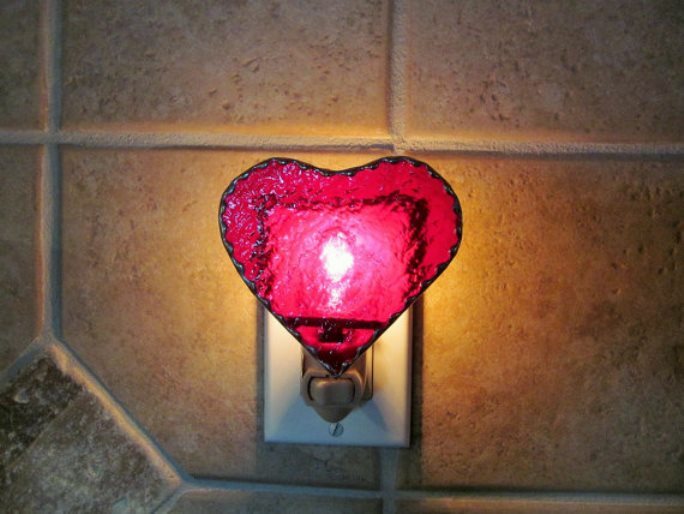 When it’s too dark to see anything, having a night light helps, and stained glass is the perfect way to dress one up and add some glowing color. 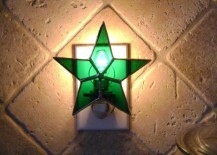 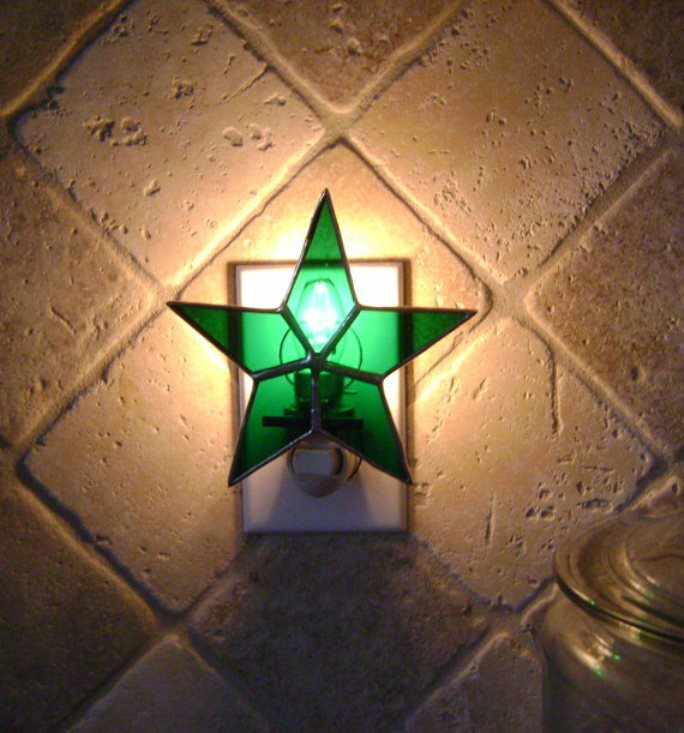 Stained Glass Jewels offers these little night lights in simple shapes that bring a really cute look to the typical bland and overly bright night light. 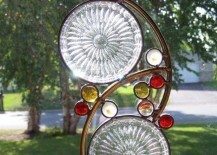 What’s your favorite way to use stained glass around your home? 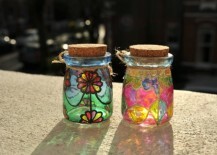 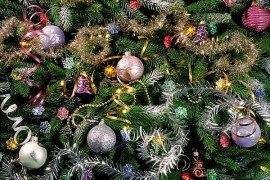 Feel free to leave a comment to let us know!